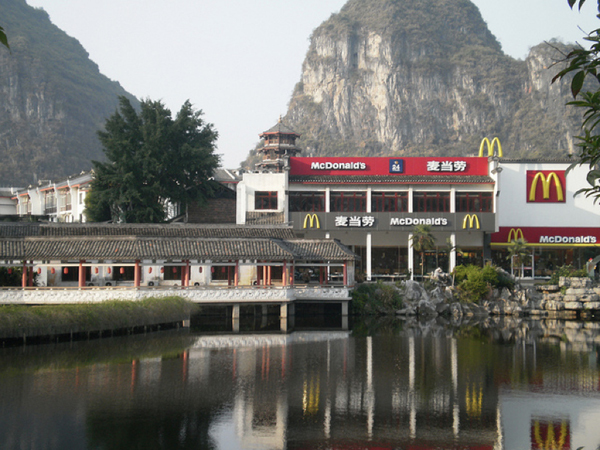 Flavorwire put up a slideshow of the most beautiful fast food restaurants in the world. It’s a pretty interesting bunch from the Icelandic KFC with a wall of sheer glass to the Arby’s in downtown Brooklyn that appears to be some sort of disgusting hipster ballroom. It’s a good thing it was closed down. Check out the entire list here. As much as I enjoy ergonomically-designed fast food joints, none will ever have a place in my heart like the KFC on Sixth Ave. that I used to go to between classes at NYU. I close my eyes and I can still feel the stickiness of the dried piss in the bathroom and hear the homeless people begging for change. It’s a shame it was condemned after rats overran the place.